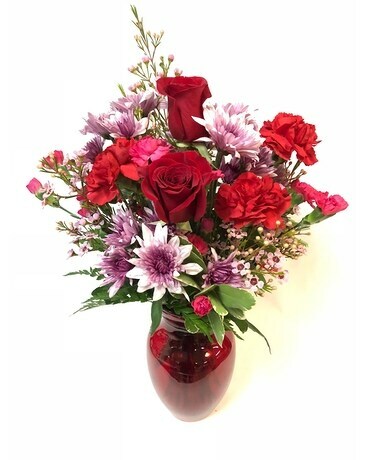 Beautiful mix of blooms arranged in a red vase. 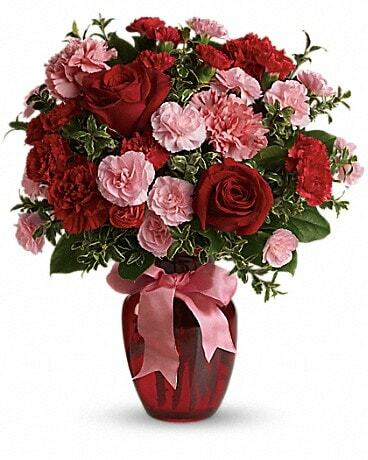 Arrangement includes carnations, chrysanthemums and fillers. 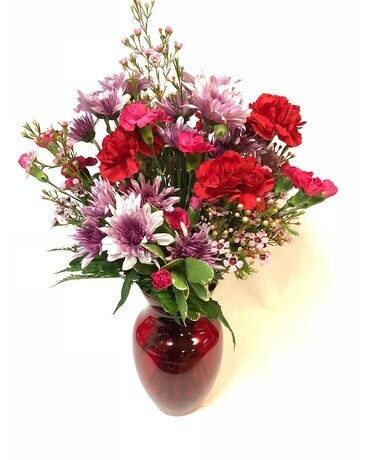 Beautiful mix of blooms arranged in a ceramic vase. 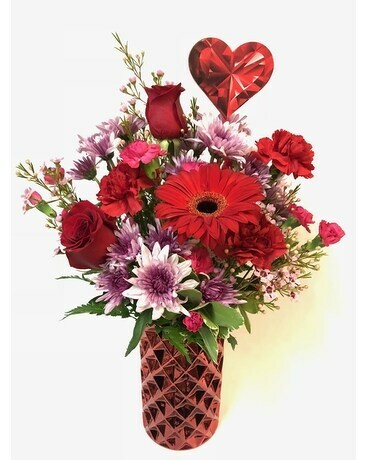 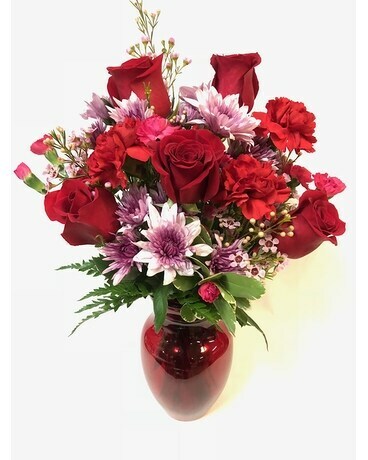 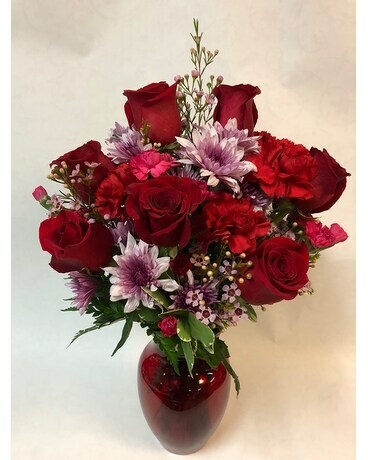 Arrangement includes roses, carnations, chrysanthemums and fillers.